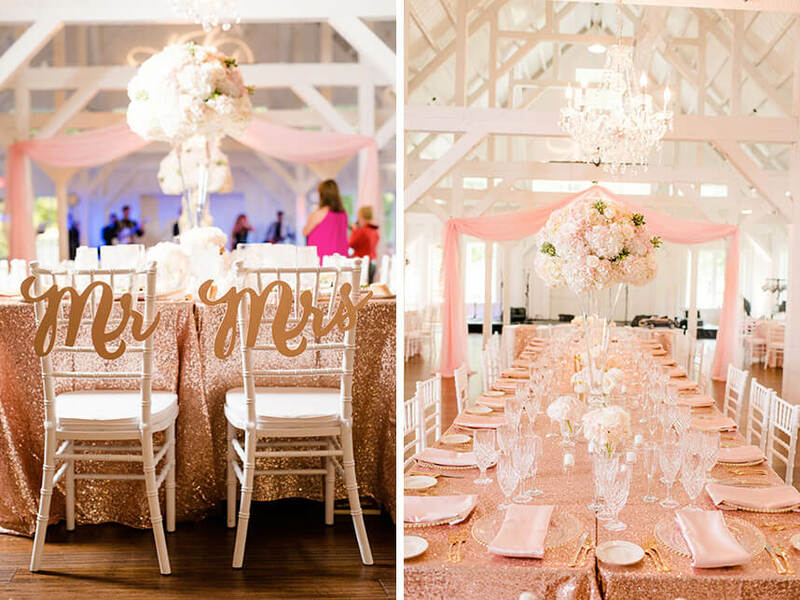 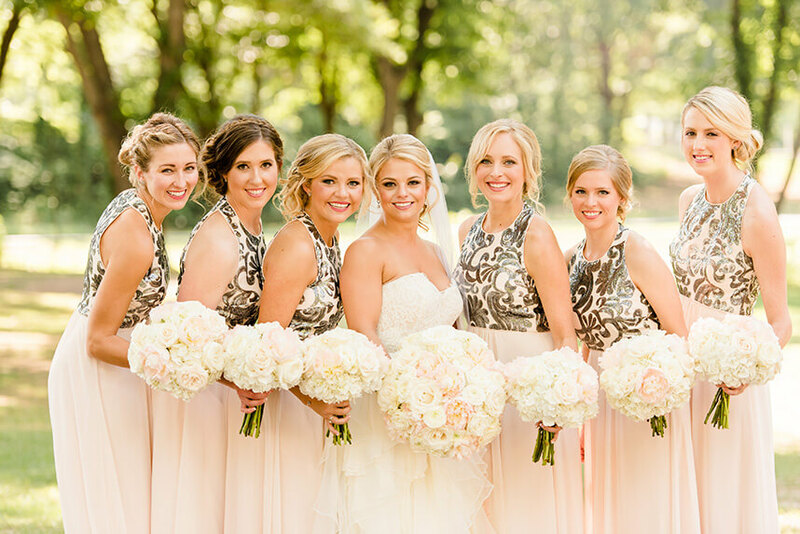 Alex and David’s glittering pink wedding at Spain Ranch in Tulsa is definitely one you won’t want to miss! 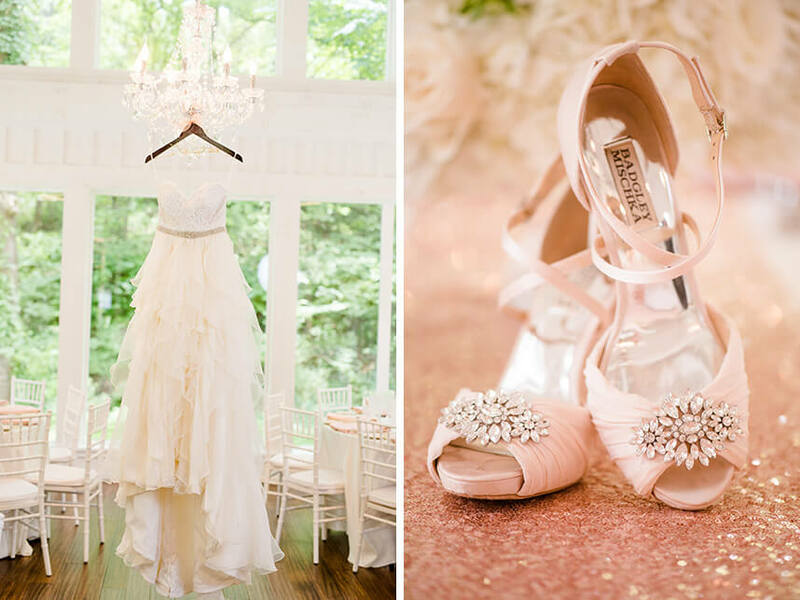 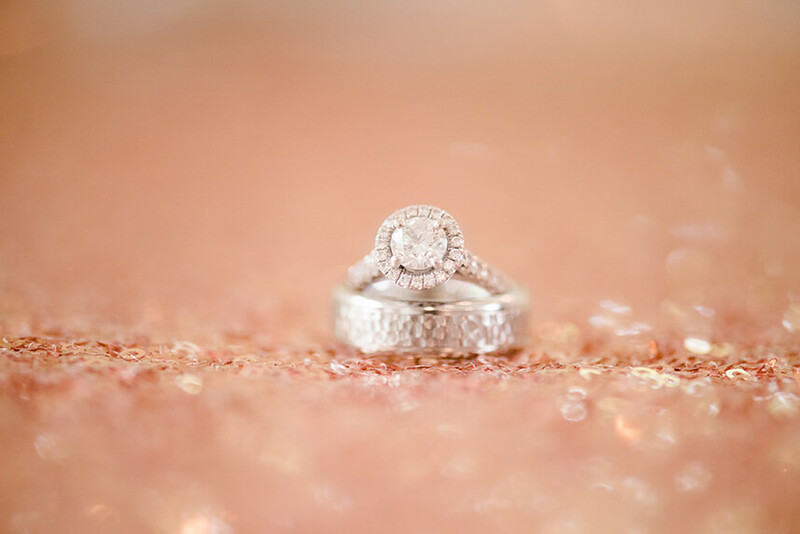 Captured by Holly Gannett Photography, it’s clear that Alex is a girlie girl through and through. 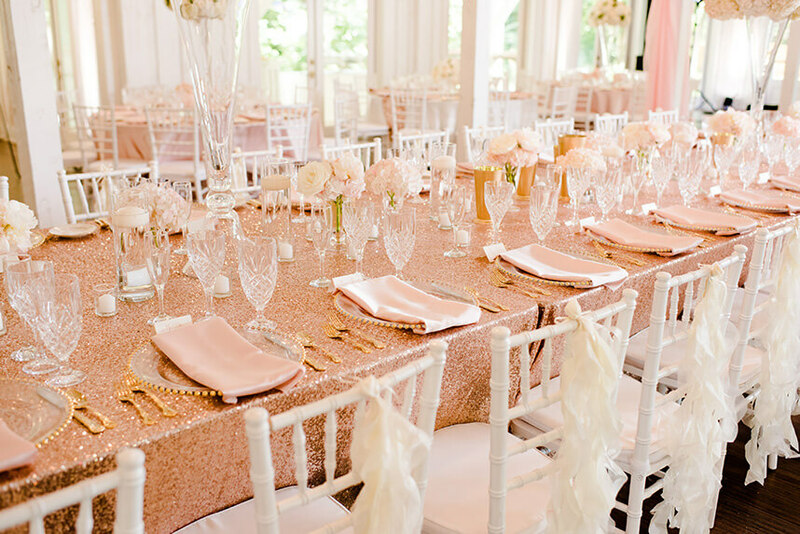 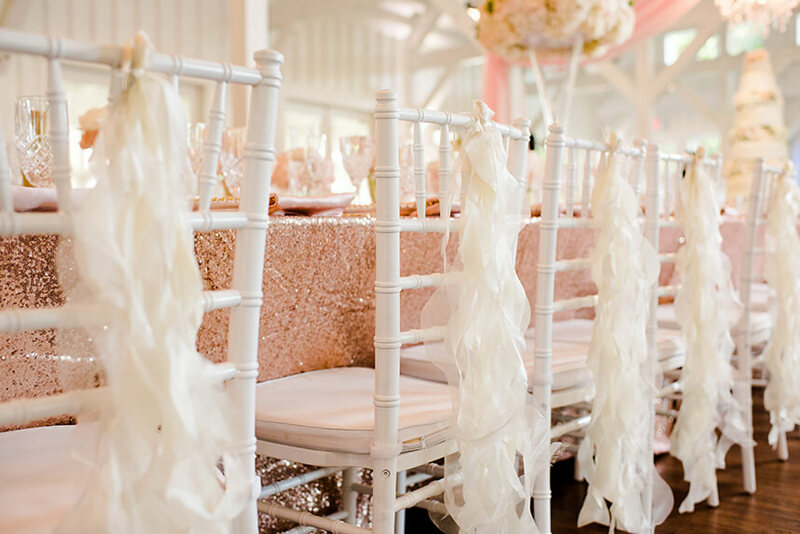 From her gorgeous flowing Hayley Paige ball gown to her bridesmaids blush-skirted gowns to the glittering table linens from Party Perfect Rentals, there’s a feminine touch throughout every single detail. 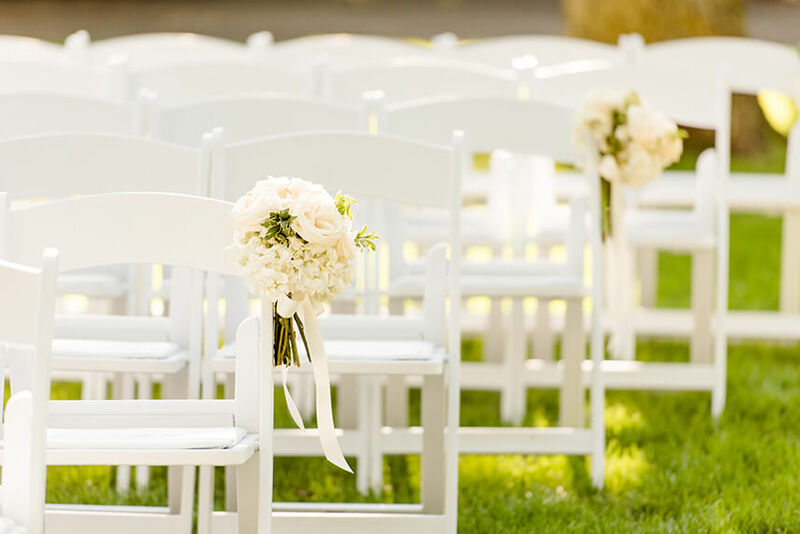 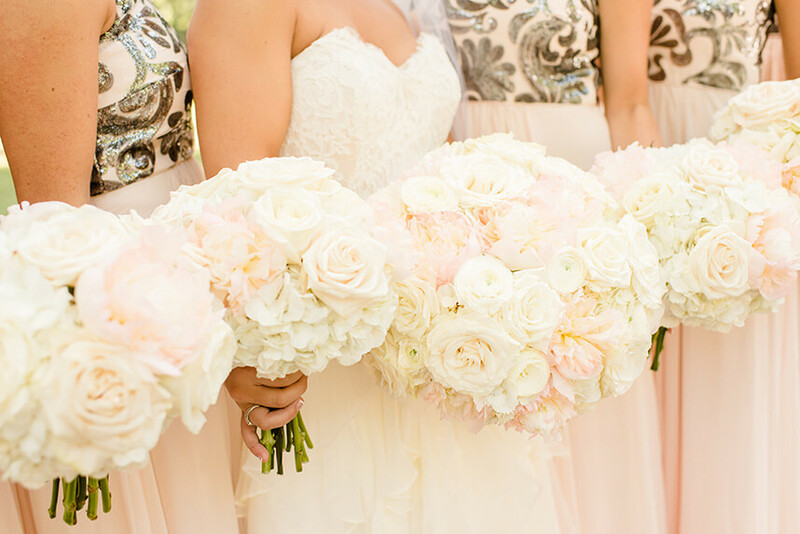 The French Bouquet crafted the most stunning white and blush florals for the bridal party and reception space. 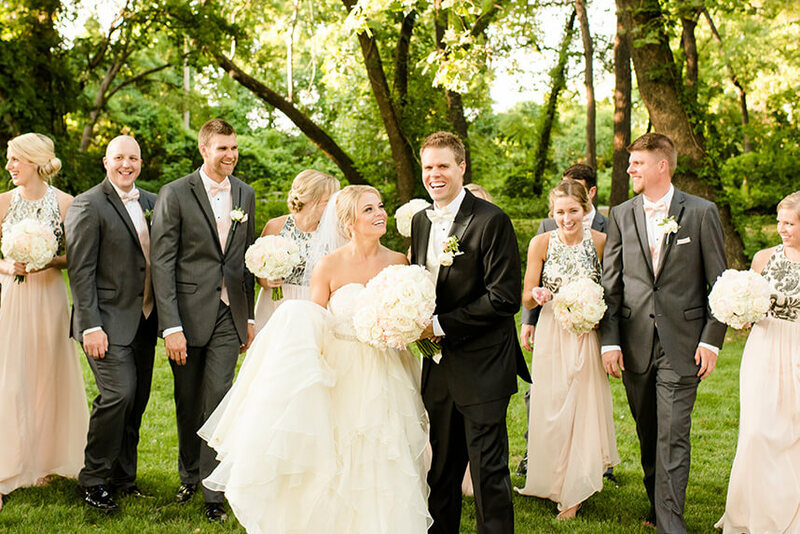 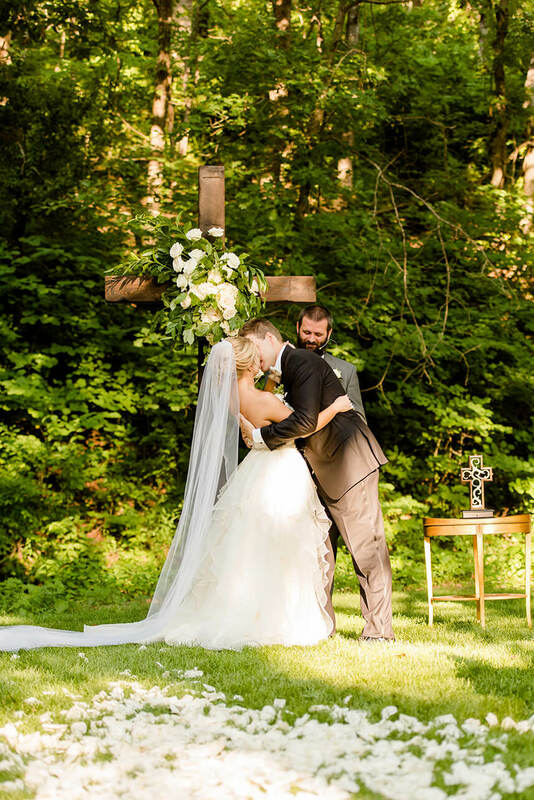 After walking the petal-covered aisle to say their “I do’s,” Alex, David and their guests headed inside the glammed up barn venue to celebrate! 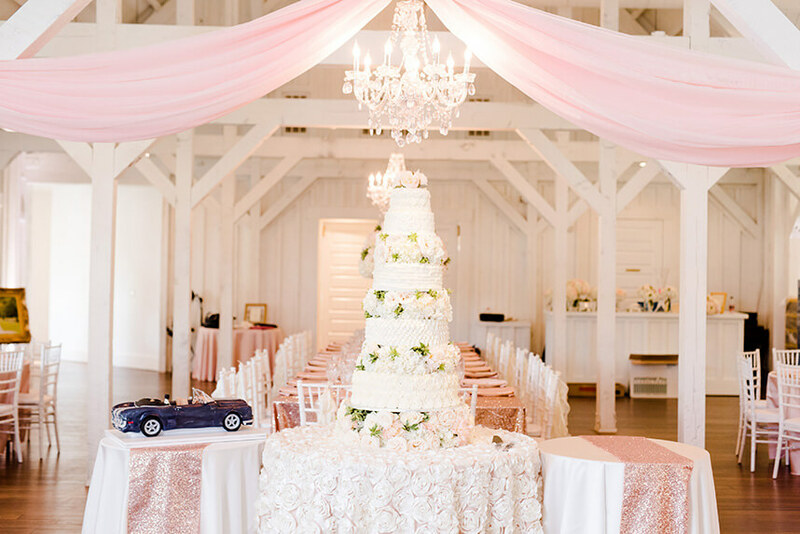 Box Talent Agency provided Hook to entertain, and a towering wedding cake was served alongside the groom’s cake – a 1968 Ford Mustang model made by Icing on the Top. 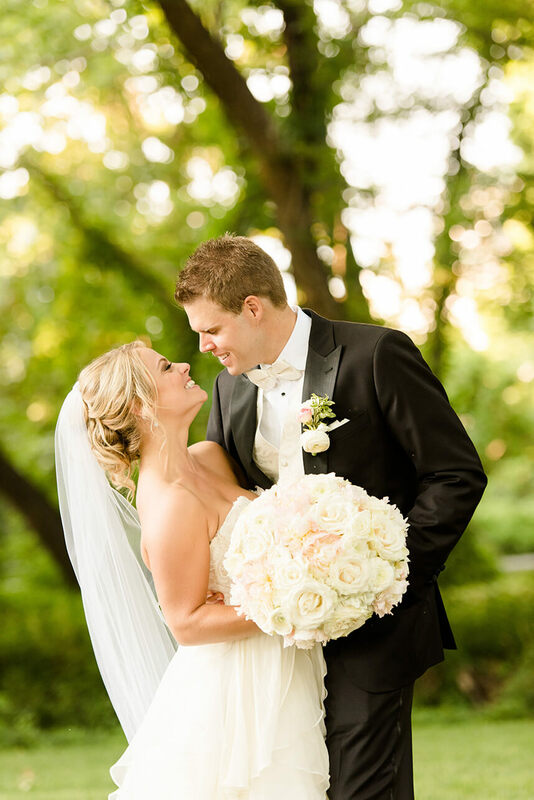 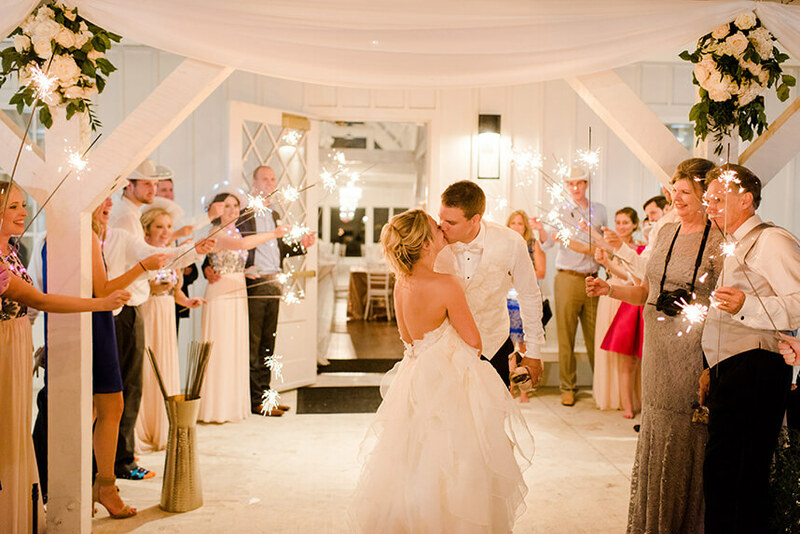 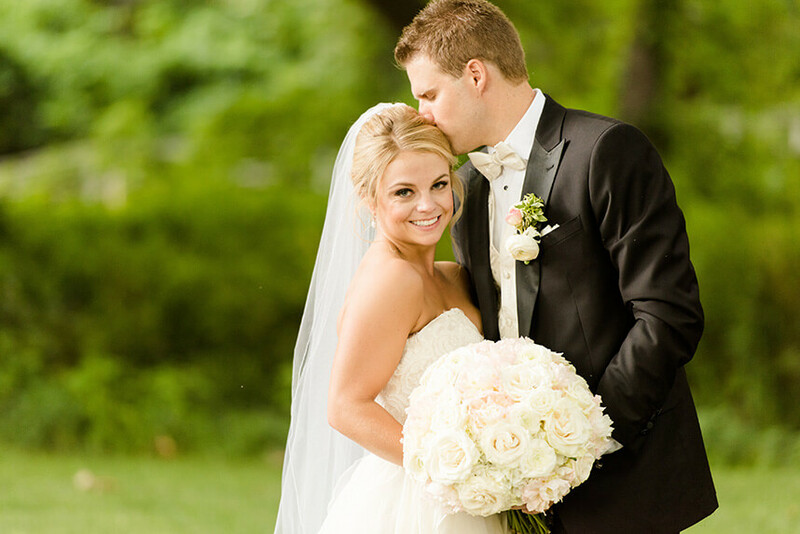 Cheers to the newlyweds and congrats on your glamorous celebration! 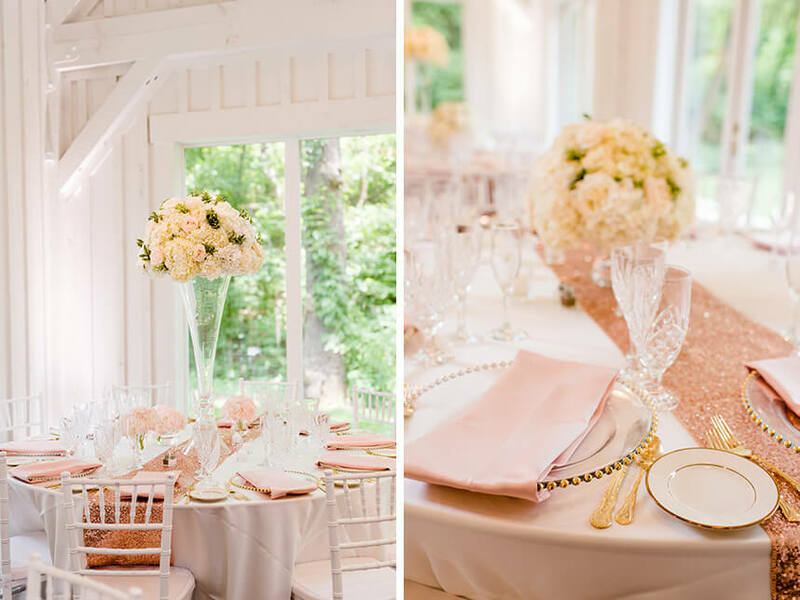 You’ll find this pretty day in the upcoming 10th Anniversary issue, out this January!